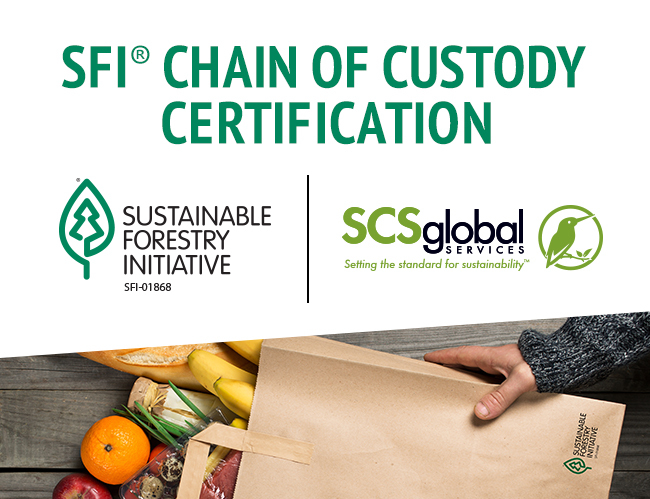 EMERYVILLE, Calif., March 12, 2019 /3BL Media/ — SCS Global Services (SCS) is pleased to announce that it is now offering chain of custody certification to the Sustainable Forestry Initiative (SFI) Chain of Custody Standard. SFI is a leading, credible certification in North America for responsible forest products. This new service offering leverages SCS as a one-stop shop for the wood and paper industries, providing clients with increased efficiency for dual and triple chain of custody certification to the major three forest sustainability standards. SCS is also currently undergoing accreditation for, and will soon be offering certification services for SFI Forest Management and SFI Fiber Sourcing Standards. “ SFI is pleased that SCS Global Services is now an accredited certification body that can deliver certification to the SFI Chain of Custody Standard. We appreciate SCS’ commitment to our efforts to promote the value of sustainably managed forests across the U.S. and Canada, ” said Kathy Abusow, President and CEO of SFI. SFI® Inc. is a sustainability leader that stands for future forests. SFI is an independent, non-profit organization that sets rigorous standards to provide supply chain assurances and promote the responsible sourcing of forest products. SFI works with the forest sector, brand owners, conservation groups, resource professionals, landowners, educators, local communities, Indigenous peoples, governments, and universities. SFI standards and on-product labels help consumers make responsible purchasing decisions. Additionally, SFI oversees the SFI Forest Partners® Program, which aims to increase supply of certified forest products, the SFI Conservation and Community Partnerships Grant Program, which funds research and community building, and Project Learning Tree® , which educates teachers and youth about forests and the environment. SFI Inc. is governed by an independent three chamber board of directors representing environmental, social, and economic sectors equally. SFI believes caring for forests improves everyone’ s quality of life. Learn more: sfiprogram.org.